Inspired by a stitch found in a vintage pattern book printed on news print paper. I bought it at a garage sale minus a cover, so I don’t know the title of the book. 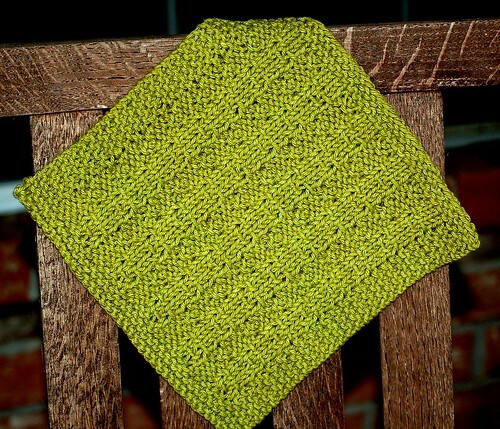 Knit by my amazing test knitter Susan 😀 You can check her out on ravelry as woodlandstx. 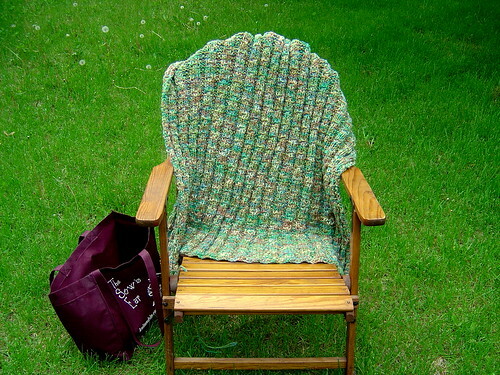 Susan knit this pattern using Lion Cotton in Avocado. Repeat Rows 1-3 fifteen more times. 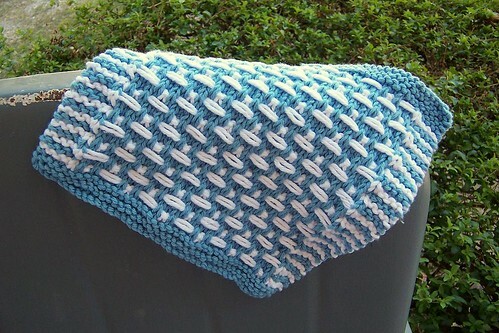 Inspired by a stitch found in “The Harmony Guides.” Knit by my amazing test knitter MissMandiGirl 😀 You can check her out on ravelry and on her blog. 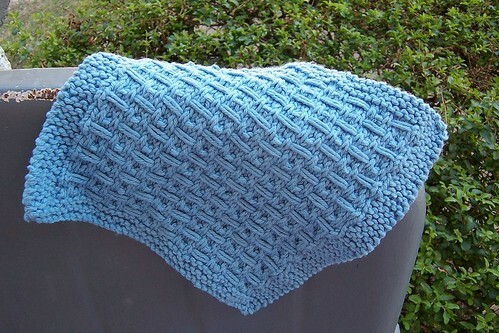 Any worsted weight 100% cotton yarn in 1 or 2 colors (the pattern will specify when to use color A and B, but it can also be knit up in one color only). 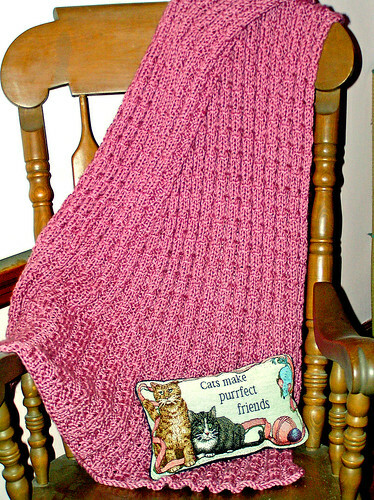 All slipped stitches are purlwise. Repeat Rows 6-13 eight more times. 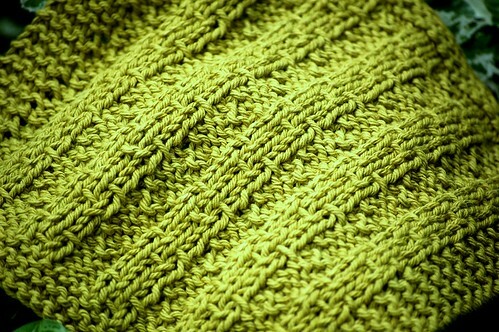 Knit 4 Rows with A. 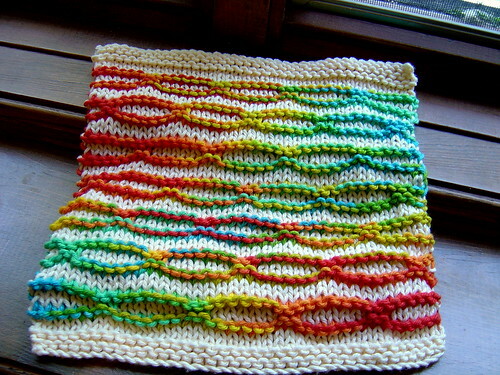 Row 9: [Using MC] K6, *wyib sl 2, K6, repeat from * to the end of the row. Row 10: P6, *wyif sl2, P6, repeat from * to the end of the row. Row 11: [Using CC] K6, *wyib sl 2, K6, repeat from * to the end of the row. Repeat Rows 5 -20 two more times. Then Repeat Rows 5 – 12. Repeat Rows 5 and 6. I used Peaches & Creme Fiesta(MC) and Black(CC). 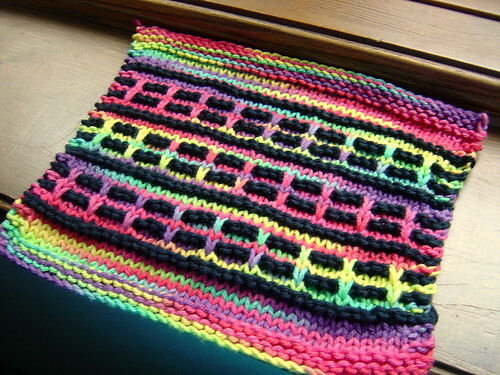 Knit 4 rows for the border. 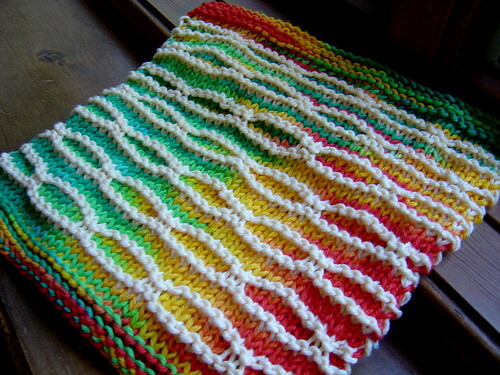 Knit 2 rows with CC.